NRL Recruitment 2019 - Job notification for Advisor Post in NRL, Guwahati, Assam on Contract Basis. 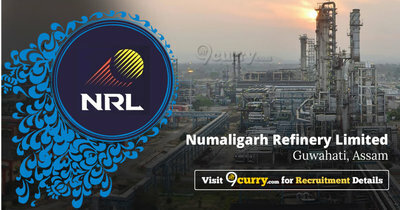 Applications are invited by Numaligarh Refinery Limited on or before 21 Feb 2019 for 1 vacancy. Minimum Bachelor Degree in Engineering from a Govt recognized institution/ university. Having minimum 15 years of experiences in pipeline projects.